And if mud and obstacles took a backseat to long miles, wild vans, friends and one heck of a finish line party, you were likely taking part in one of the most beautifully organized race series in the country, Ragnar Relay Race Series – this last week taking place out of Austin. If you have not done one of these bad boys yet – they have a whole season ahead, both trail and road – and they sell out FAST. Always a popular event for Spartan, this favorite did not disappoint. 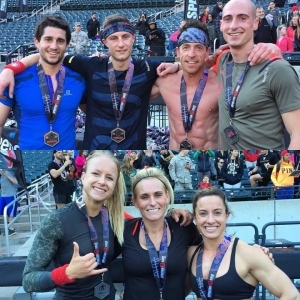 If you have not done a stadium race before, it is a unique experience, with no mud, lots of Crossfit inspired obstacles and LOTS of stairs (activity trackers were showing anywhere from 70-90 flights). Even the kids race stepped it up with mini spear throws and five burpee penalties. Team OCR GEAR/ICEBUG athlete Ron Lenczewski was there and told us that Spartan has begun giving wristbands to both the parents and the children for the Kid’s Race, which as a parent, that extra level of safety is much welcomed. He also mentioned the SPECIAL SPARTANS. “On hand for the kid’s race were a group of racers dressed up as Superheroes. It has become a tradition for them. If you are ever at a Spartan Race, you HAVE to watch or even assist with a Special Spartans heat. These kids are just amazing individuals.” I could not agree more. 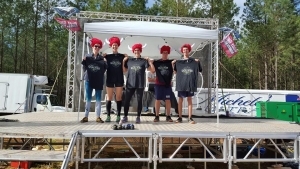 Topping the podium at Citifield was Brakken Kraker, Matt Novakovich and Frankie DiSomma for the men, and for the women, Kate Cramer, Cassidy Watton and Elise Fugowski. 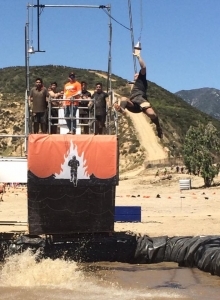 Tough Mudder kicked off its West Coast season in SoCal, to a large crowd of dedicated Mudders and new fans alike. Known for combining strength challenges, fear busters, and genuine FUN, it is never any wonder why they continuously knock it out of the park every time. 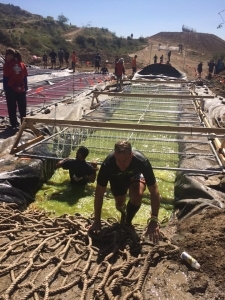 Now with the addition of their somewhat controversial “Tough Mudder Half”, they brought in a whole new group of fans who may have been intimidated to do the full-length course. We at MRG love any idea that grows our sport and applaud the idea. Turns out, so did a lot of others. With all of the recent back and forth about whether Warrior Dash is challenging enough, it certainly did not seem to hurt their fan base. Always consistently fun, they brought it out in full-force, providing a great day for anyone wanting to spend a weekend with friends, family, and mud. Stepping up to the winner’s plate for the men, was Yuri Force. On the women's side, Shenoa Creer, Jennie Maldonado, and Natalia Firment grabbing the spots for the women. BattleFrog Series loves Texas, and Texas loves BattleFrog. And with the addition of the lanes of varied difficulty, there is now more BattleFrog to love for more people. You may also have noticed that Christopher “Beard” Acord has been taking a more supervisory role recently, allowing some very talented new Race Directors, such as this week’s Adam Washburn to develop their personal styles and bring them to the table, giving BattleFrog something new to experience with every race. Taking the podium in third place for the women, was Team OCR GEAR/ICEBUG badass beauty Nikki Call, and she offered up some glowing words about the day. 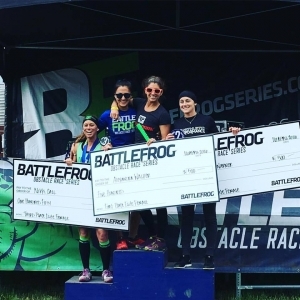 Joining Nikki on the podium for the women, were Alexandra Walker and Wendy Warner and leading the pack for the men were BattleFrog Team member Ryan Atkins in first, followed closely by Beni Gifford and Van Tran. Welcome to the 2016 season Conquer The Gauntlet! 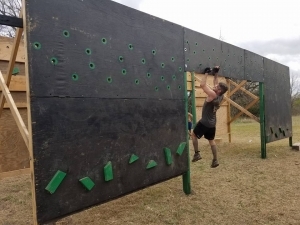 One of the most challenging and highly-anticipated small series, Conquer the Gauntlet hit the ground running with a course so contesting, that it did not yield a single elite female finishing having completed every obstacle. Here is the thing, though – you will not hear a single one of them complaining. As daunting as it is, it is a blast for everyone, whether they complete the obstacles or not. The obstacles are innovative, exciting and if you are a spectator – a whole lot of fun to watch. Joining Cody on the podium were Jordan Buscemi and Bryce Robinson. Well done, everyone who came out to face and conquer their own personal bests at this great event!